FLINT TWP. 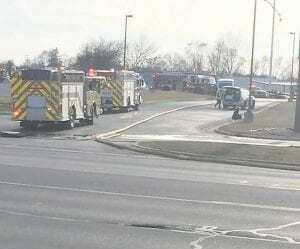 — A fire at Discount Tire, 3352 S. Linden Road, remains under investigation by the Flint Township Fire Department. 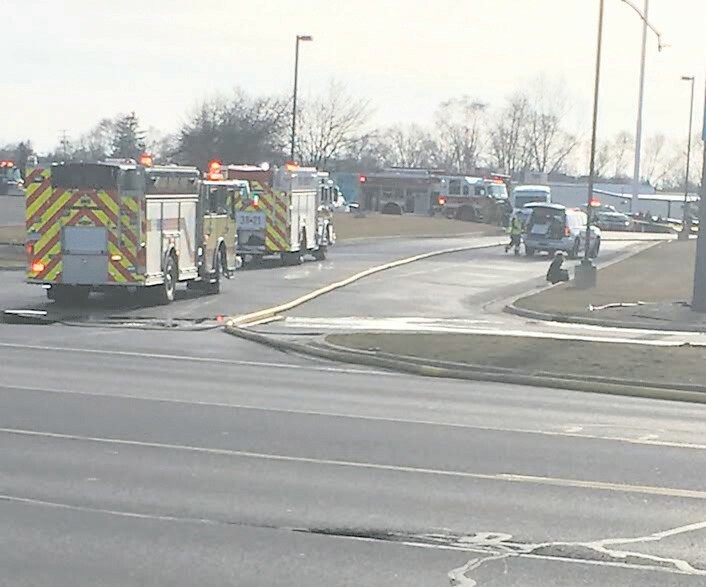 Flint Township Fire Chief Thomas Stadler said firefighters arrived at the scene at about 5:27 p.m. March 27, about four minutes after getting the call. 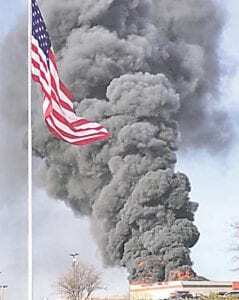 Heavy black smoke could be seen from Interstate 69, and windy conditions stoked the flames coming from the roof of the building. 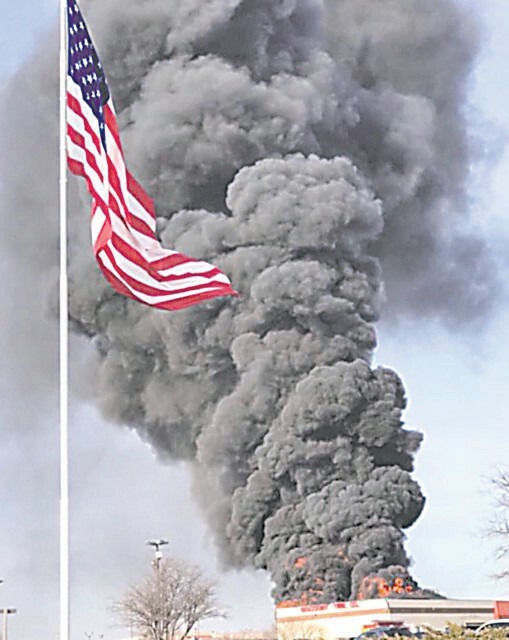 Stadler said the fire started in a storage area that held more than 2,000 tires and 300 to 400 custom wheels. Firefighters were able to contain the blaze in roughly a quarter to a third of the building. No cost estimate for the damage is available at this time, but Stadler said the tire storage area was a total loss. “We’re still waiting for corporate to give us a loss estimate, so not only are we in the investigation mode, we’re still in the information-gathering mode,” he said. There were customers and employees in the building when the fire broke out, but no one was injured. Stadler said one building nearby was evacuated because of the heavy, toxic smoke. The cause of the blaze is still undetermined, but Stadler said there is no reason to believe the fire was suspicious in nature. The heavily damaged business remains closed while undergoing repairs. Flint Township firefighters were assisted by fire departments from Mundy Township, Grand Blanc and Swartz Creek with Mount Morris Township on standby.